> Forest decentralisation in Latin America: exclusive or inclusive? 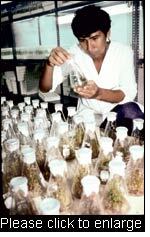 The question of how we handle the world’s genetic resources has been an important issue in international policy discussions ever since the launching of the Convention on Biological Diversity, if not earlier. In principle, sovereignty over genetic resources is in the hands of the states. However, the Biodiversity Convention demands that genetic resources be conserved and used in a sustainable manner, and that benefits arising from this use be equitably distributed. The International Treaty on Plant Genetic Resources for Food and Agriculture (ITPGRFA) has put these demands into concrete terms with regard to agricultural crops. It stipulates measures to ensure protection and sustainable use of plant genetic resources and calls on states to recognise Farmers’ Rights. 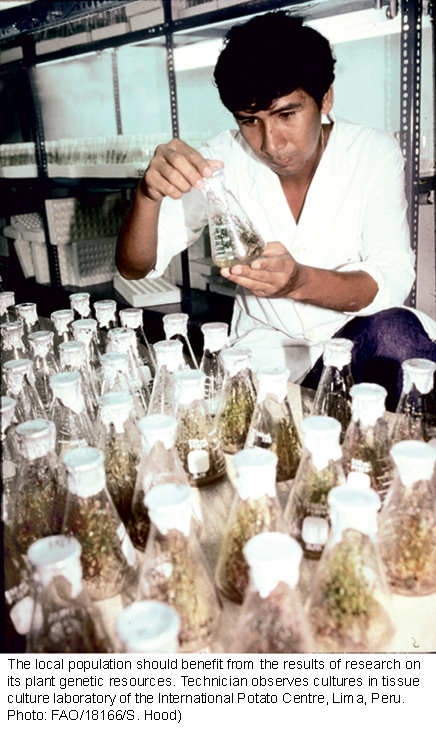 In particular, the ITPGRFA regulates the use of the genetic resources of 64 important crops: on the one hand, it facilitates access to these resources, and on the other hand, it envisages information exchange, technology transfer, training and financial compensations to ensure fair and equitable sharing of the benefits arising out of their use. In mid June 2006, the ITPGRFA Governing Body adopted important measures regarding the concrete implementation of the treaty. In particular, it established the conditions that are to govern the relations between providers and recipients of genetic resources. For example, 1.1% of the profit resulting from commercialisation of a product based on these resources must flow into a fund for the support of rural development managed by the ITPGRFA Governing Body. This is a first step towards eliminating the imbalance between poor rural populations in developing countries with abundant resources, on the one hand, and business corporations from wealthy industrial nations that derive profit from these resources, on the other hand. A book entitled Rights to Plant Genetic Resources and Traditional Knowledge argues that various further steps are needed. Among other things, the authors recommend that international law be developed so as to generally improve the protection of developing countries against abusive exploitation of their plant genetic resources. The authors also suggest the introduction of so-called Traditional Intellectual Property Rights to protect population groups’ traditional knowledge about the use of genetic resources – an issue not covered by existing intellectual property rights. The proposed rights would close this gap and thereby counterbalance well-developed patent protection mechanisms as they exist, for example, in biotechnology. The significance of traditional knowledge about genetic resources could also be enhanced by making special promotion efforts for products based on them. Geographical indications, labelling, or trade policy measures such as preferential tariffs could contribute to this aim. While the quoted measures do have a potential for contributing decisively to a more equitable use of genetic resources and traditional knowledge, their implementation takes time. However, concrete regulations already do exist, as is shown in a brochure entitled Access and Benefit Sharing: Good practice for academic research on genetic resources. This publication is intended to inform the scientific community about existing regulations in the Biodiversity Convention that must be observed when accessing genetic resources for research purposes. Enriched with practical examples, the brochure contains step-by-step instructions on how to plan a project. If we want to conserve biological diversity and access to genetic resources in the long term, we must acknowledge the important role that rural communities in developing countries play in this issue. > Summary of the First Session of the Governing Body of the International Treaty on Plant Genetic Resources for Food and Agriculture: 12–16 June 2006. Earth Negotiations Bulletin Vol. 9 No. 369. International Institute for Sustainable Development (IISD). 14 p.
> Report of the First Session of the Governing Body of the International Treaty on Plant Genetic Resources for Food and Agriculture. Madrid, Spain, 12–16 June 2006. FAO. 177p. 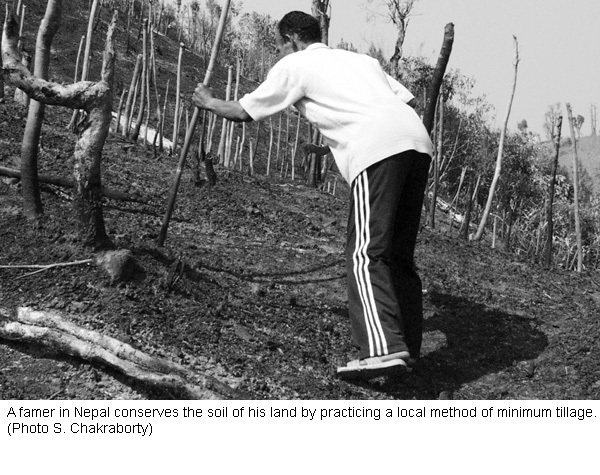 In South Asia, shifting cultivation is practised on an area of 10 million hectares. The majority of the 400 million people who depend on Asia’s tropical forests for their livelihoods engage in this type of land use. Shifting cultivation has long had a bad reputation, as it was considered the cause of increasing ecosystem degradation. But can a traditional system that was originally adapted to the local conditions really have such a severe negative impact that policies must seek to ban it? Results of a study carried out by a network of specialists from Asia, along with the ensuing policy dialogue, reveal that considerations and actions must point precisely to the opposite direction. Case studies show that farmers practising shifting cultivation actually conserve more forest on their land than all other farmers, and that shifting cultivation can maintain productivity, prevent soil degradation, and conserve biodiversity. The precondition is a favourable institutional framework. Future policies should support innovation among farmers practising shifting cultivation and improve market conditions for niche products. These are two of seven recommendations made by the specialists. Source: Debating Shifting Cultivation in the Eastern Himalayas: Farmers’ Innovations as Lessons for Policy. E. Kerkhoff, E. Sharma (comp). Kathmandu. ICIMOD. 2006. 82 p.
The roles, rights and responsibilities of all actors involved. An analysis of the major problems in this area and the instruments that were adopted to tackle them. Special attention was paid to women and to the most disadvantaged population groups. Institutional development and legislation. A particular focus was land tenure and land rehabilitation. Other issues which were discussed included corruption, illegal exploitation of forest resources and law enforcement. Financial measures to aid forest decentralisation and the importance of financial considerations in the decentralisation process. Nevertheless, the links between actual cases presented during field visits and the content of the workshop were not clear. For example, there was no representation from local governments and any existing link was between the central governing authority and the indigenous communities. Source: Workshop on Forest Governance and Decentralisation in Asia and the Pacific, 4–6 September 2006, Yogyakarta – Indonesia. A number of international mechanisms have recently included soils as a natural resource of vital importance: the Kyoto Protocol fosters conservation and expansion of carbon storage both above and below the ground, the Convention to Combat Desertification facilitates efforts towards soil conservation and sustainable land management (SLM), and the FAO launched an International Soil Biodiversity Initiative under the Convention on Biological Diversity. 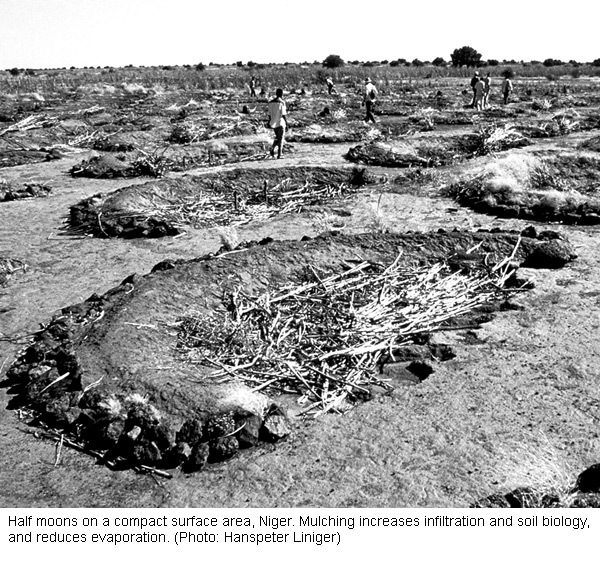 However, the global agenda is lacking a coherent effort to promote SLM and combat land degradation. The report entitled Soils on the global agenda is intended to contribute to developing international mechanisms for SLM. The report provides an overview of international actions concerned with SLM and aims to concretise possible follow-up actions. The creation of a World Soils Council (WSC) was initiated on the occasion of a workshop on World Soils Issues and Sustainable Development in 2006. The proposed objective of the WSC is to assemble an interdisciplinary body of expertise and experience to act as an advocate for soil issues in policy – and decision-making processes. For example, the WSC will identify and evaluate impacts of current international policies on sustainable soil management and the capacities of existing policy frameworks and institutional arrangements to strengthen issues of soils and SLM. The WSC’s proposed vision, objectives, and structure are presented in the final chapter of the report. African small-scale farmers producing for the market face difficult conditions: markets are being increasingly liberalised in the course of globalisation, and prices for agricultural products are on the decrease. The circle of purchasers is limited to few supermarkets that require conformity to strict standards. At the same time, government support for agriculture is being reduced. Based on case studies, this book points out strategies to improve the farmers’ position within value chains and thereby raise their income. For example, a public-private partnership in Ghana provides training in pineapple-growing for local farmers working on a pineapple shoot farm. After one year, they are given a plot of land and the necessary inputs as an advance payment. The company then buys their pineapples at a previously agreed price. After 3 years the farmers have the option of becoming independent – and in the meantime they have learnt to produce according to market requirements. Following a systematic analysis of the case studies, the authors point out where and how development organisations can support poor farmers in market development. Source: Chain empowerment. Supporting African farmers to develop markets. KIT, Faida MaLi, IIRR. 2006. 212 p. www.kit.nl/smartsite. “What matters is that on the family plot of land farmers and their families have a range of crops to fill the cooking pot, not to accumulate or generate wealth.” This statement was made by Edgar Gonzales Castro from Peru in a broad e-mail discussion between small-scale producers around the world. The farmers discussed their visions for the future, as well as opportunities for achieving them. A widely expressed vision was to turn away from industrial agriculture and purely economic reasoning. Many farmers understand agriculture as an integral part of their traditions and culture. A respectful attitude towards nature and independent subsistence of village communities are their foremost concerns. In this connection, the farmers expressed the wish for greater appreciation of their work in the future. Another vision was to abandon agricultural globalisation in favour of localisation. Many participants argued that it must be possible to protect local markets. Competition from cheap imports and dependence on external inputs in general were seen as problematic. The farmers are aware that any changes in these directions must be initiated by them. This is why they emphasise the importance of training, mutual exchange of information, and mobilising like-minded people. No rain. Again. Already in the previous year, farmer Amelia Rodriguez* was hardly able to cover her family’s need for dry beans. Selling part of the harvest at the regional market was out of the question. And now, again, there will be no income. Insurance against weather-related damage – a matter of course for agricultural businesses in industrialised nations – is unknown among farmers’ families in poor countries. In Central America drought is one of the main causes of yield loss. On the one hand, yield loss has acute consequences for small-scale producers. On the other hand, it leads to far-reaching unfavourable developments such as increases in interest rates on credits, a lower demand for seasonal labourers, and rising food prices. Supported by other development agencies, the International Centre for Tropical Agriculture (CIAT) has published the results of a feasibility study for an insurance system to mitigate poverty resulting from drought-induced yield loss. The system was designed on the basis of small-scale dry bean production in Nicaragua. The detailed study has developed a simple, comprehensible and scientifically sound drought indicator. This indicator will be used to prove that a given yield loss is directly linked to drought, and is therefore a basic prerequisite for developing an insurance system. The study lacks a sound answer to the question of whether such an insurance is economically viable, particularly for small-scale farmers or farmers’ associations. However, it is demonstrated that the proposed insurance system can function as a model for other regions where small-scale farmers are struggling against similar weather-related problems. Although there is currently substantial funding of protected areas (PA) from donors and governments, these resources have failed to keep pace with expansion in recent years. Supported by 29 international case studies, the report provides a number of recommendations to help improve the situation. When planning the financing of protected areas, consideration should be given to socioeconomic development and poverty alleviation objectives. Funds to promote conservation will be raised from taxes, subsidies, the marketing of goods and services from protected areas, as well as from investment by enterprise funds. In Latin America, for example, the Terra Capital Biodiversity Enterprise Fund, supported by the Global Environment Facility (GEF) invests in private companies that generate conservation benefits. By developing more economic value from the sustainable use of biodiversity, the users and owners of biodiversity would have stronger incentives to protect these assets in the long term. Furthermore, the fact that the communities themselves and the private sector are in charge of managing PA frees up public resources which could be used to fund other PA-related activities. This publication provides governments, decision-makers and protected area planners with an instructive approach to PA financing. Forest decentralisation in Latin America: exclusive or inclusive? Since 1990, the local governments in Latin America have increasingly played a key role in forest management which is now moving towards decentralisation. However, forest policy and legislation do not place enough value on the importance of the link between the forest sector and poverty reduction. This study is particularly interested in those population groups who earn their livelihood primarily from the trade in forest products. Marginalized groups do not consider their greater participation in forest management and their recourse to the authorities as an integration strategy. However, where decentralisation is a response to calls for indigenous autonomy, these groups view the process in a rather more positive light. In some cases, there is also a certain fear of the local elites. Here, the central authorities are considered as the relevant partner for the protection of the rights of marginalised populations. These issues illustrate that if the decentralisation process is to be truly inclusive, there should not be a clash between the wishes of the highest ranks in society and those of the lowest ranks. Source: Exclusión e inclusión en la forestería latinoamericana: ¿Hacia dónde va la decentralización? Anne Larson… [et al.]. CIFOR, CIID/IDRC, 2006. 93p. The Millennium Development Goals assign the transfer of environmentally sound technologies (ESTs) an important role in combating poverty and environmental degradation. Today, ESTs are available. However, the success of technology transfer and the acceptance and actual implementation of ESTs in developing countries depend on the economic conditions, social structures and institutional framework in these countries. Today’s challenge is not to develop technical innovations, but to create an enabling environment for their successful transfer. The author of this article proposes various measures at the national and international levels. Economic, social and legal barriers need to be removed. For example, the distribution of limited amounts of seed money for new technologies and the reduction of negative subsidies and trade barriers could foster both international and local investments. Multilateral environmental agreements should focus their efforts less on intellectual property rights and more on establishing binding and coherent regulations to promote EST. To date there are no binding regulations in international law regarding EST transfer. Source: Poverty Alleviation and Environmental Sustainability through Improved Regimes of Technology Transfer. Klaus Bosselmann. Law, Environment and Development Journal, 2/1 (2006). p.19–34. Debate is non-existent in developing countries with regard to policies and options available to society to tackle climate change (CC) due to a dearth in the provision of relevant information. Panos London decided to undertake a survey of the situation. Journalists from Honduras, Jamaica, Sri Lanka and Zambia were interviewed on the phone. The authors were able to identify ten major trends based on the answers given to the set of 35 questions contained in the survey. All respondents consider climate change to be a current phenomenon and cited examples from their own context. With the exception of environment journalists, the respondents knew very little about the causes and effects of CC, and few could cite examples of the local population adapting to CC. The journalists lack resources, and do not have access to CC-related information and images provided by press agencies. the media should make an effort to present people-centred climate change reports. Source: Whatever the weather: Media attitudes to reporting climate change. Rod Harbinson. London, Panos, 2006. 16p.